I have loved reading to my children since they were born. Sharing stories through books and storytelling is something that I love doing with my family. 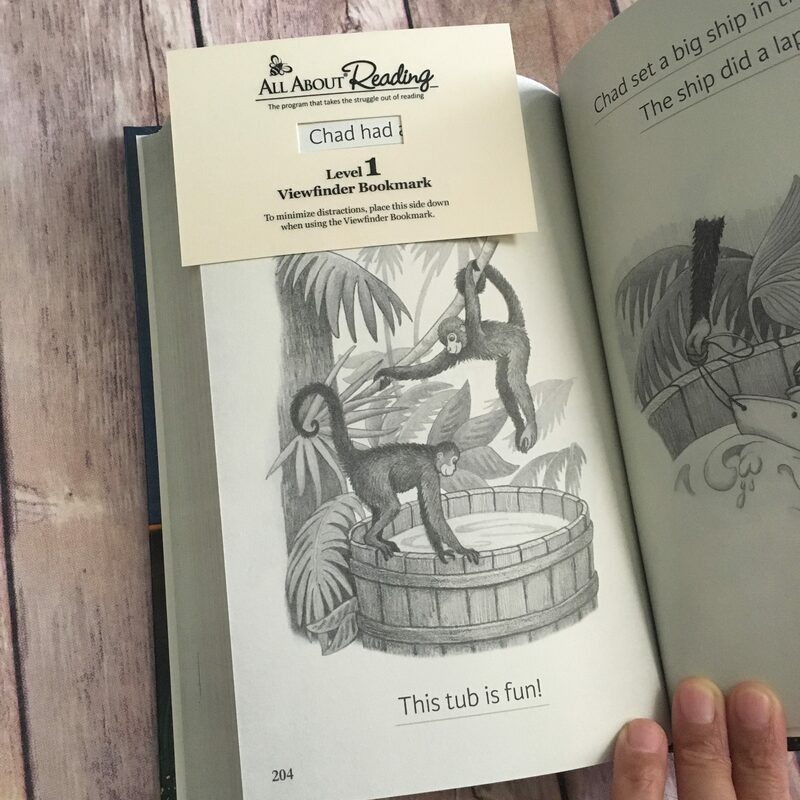 When my children showed an interest in learning to read, I was thrilled but wasn’t quite sure where to start. There are so many resources out there to teach reading skills, so it can be overwhelming to figure out which would be the best one. This school year for my first grader, we implemented All About Reading Level 1. All About Reading is a multi-sensory and mastery-based program. 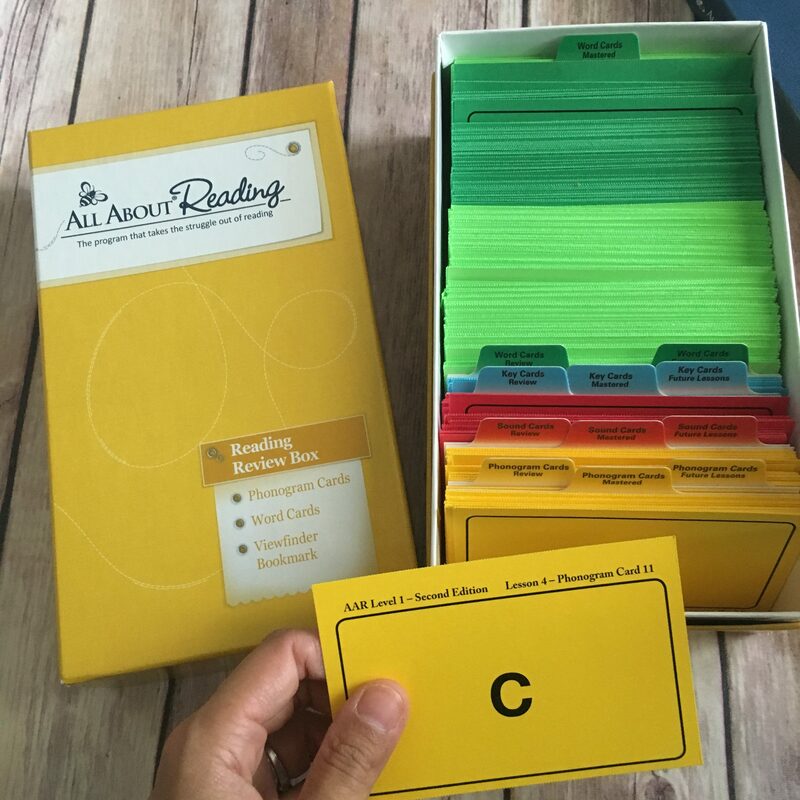 We were so excited to start All About Reading because of its approach to teaching and the comprehensiveness of the program. Trying to figure out where to begin can sometimes be a challenge with reading programs. 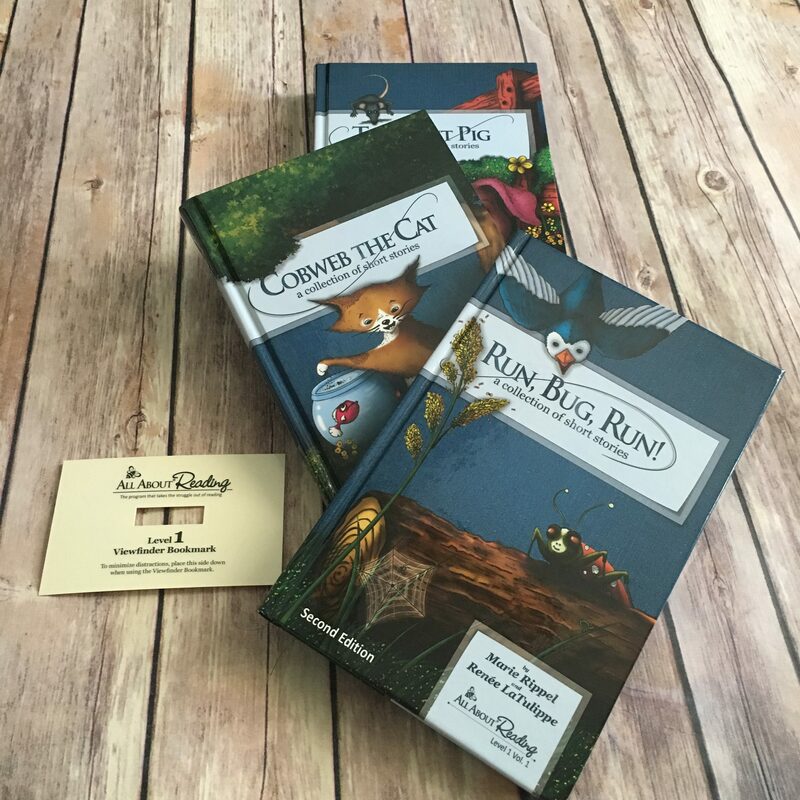 All About Reading makes it easy to determine one’s starting place. I like that it doesn’t list grade level or age. Children are so unique in their abilities and skills that age or grade level can sometimes not apply. To determine which level is good for your child, there is a placement test on the All About Learning website with questions asking the parent if their child shows mastery in specific skills in print, letter, and, phonological awareness, comprehension, and motivation level. This ensures that there are no gaps and that the child is using the program that will build on what they know and what they can do already. It is recommended to spend about 20 minutes on the reading lessons. So it isn’t too tedious and drawn out where the student tires out. It is just the right amount to review content, teach new concepts, and move forward. This amount of time makes it very manageable for the parent/teacher as well and easy to implement in the daily schedule. In addition to the 20-minute lessons, it is suggested to read aloud to your child for 20 minutes. 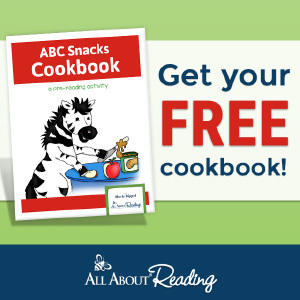 This can be easily done with bedtime stories, stories at snack time, or morning read-aloud. The layout of the lessons is very organized and clear. The objective is stated at the top of each lesson and the materials needed are also listed. 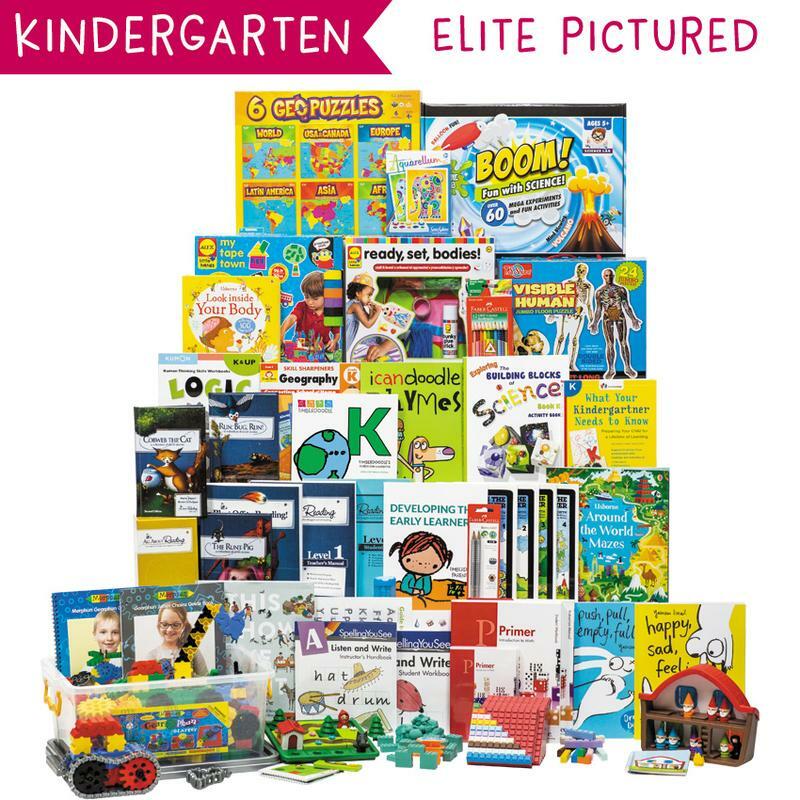 The materials are usually the readers, student activity book, and/or phonogram tiles or cards. This helps the parent prepare. The program includes most, if not all the things you will need (aside from basic school supplies). Typically the lesson will begin with a review section. It may ask you to review phonogram or word cards from previous lessons. This is excellent because with reading especially, skills are built upon older ones, so it is important to review what was previously learned. Next, the lesson includes “New Teaching” which are the new concepts or skills introduced that day. It could be building words with the letter tiles, going over new phonogram or word cards, and/or reading a story from the student readers. 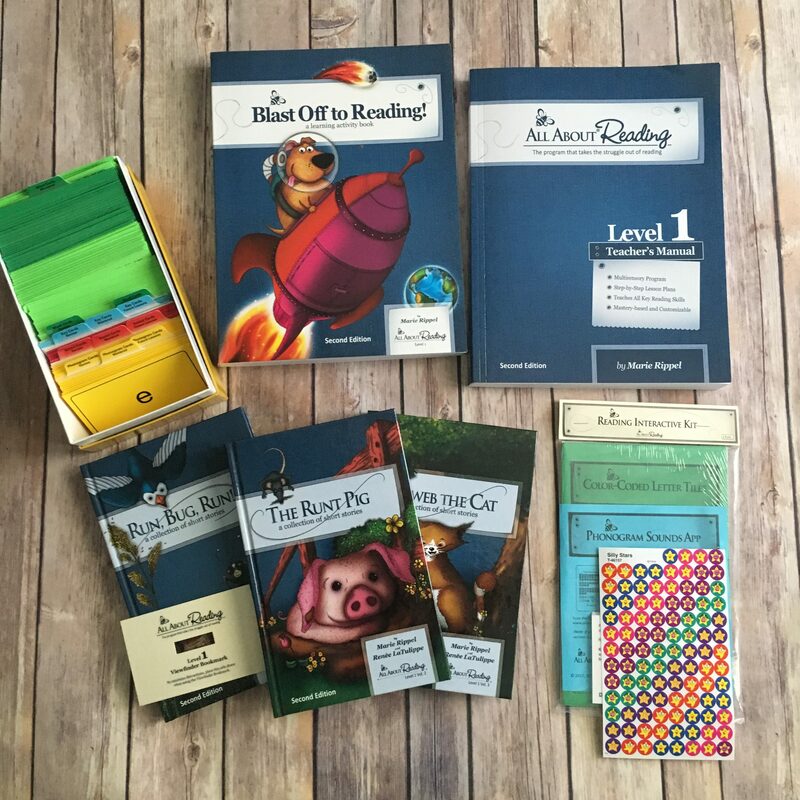 To reinforce the skills learned, All About Reading also includes engaging activities, workbook pages and games in the Blast Off to Reading activity book. The lesson culminates in read-aloud time. And the student can mark their progress chart with a sticker. As mentioned earlier, All About Reading is a multi-sensory program. Students are applying visual skills with reading and decoding, auditory through listening to stories read aloud to them, and kinesthetic by manipulating letter tiles to spell words. 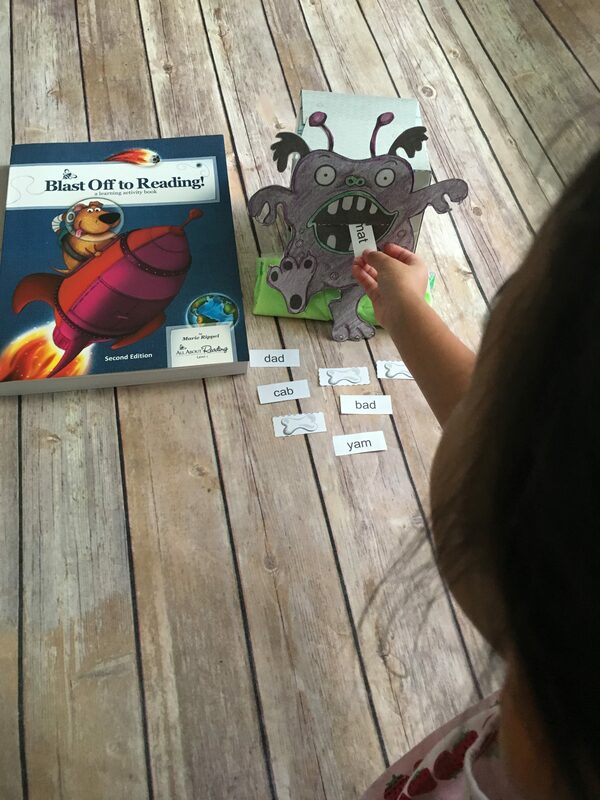 The Blast Off to Reading Learning Activity book includes activities to practice the skills learned in the lesson. Cutting out words and matching them to their corresponding pictures. Letter-sound bingo: The child can use a manipulative like counters, coins, little candy to cover the space of the card when they hear the letter sound used. These are just to name a few. 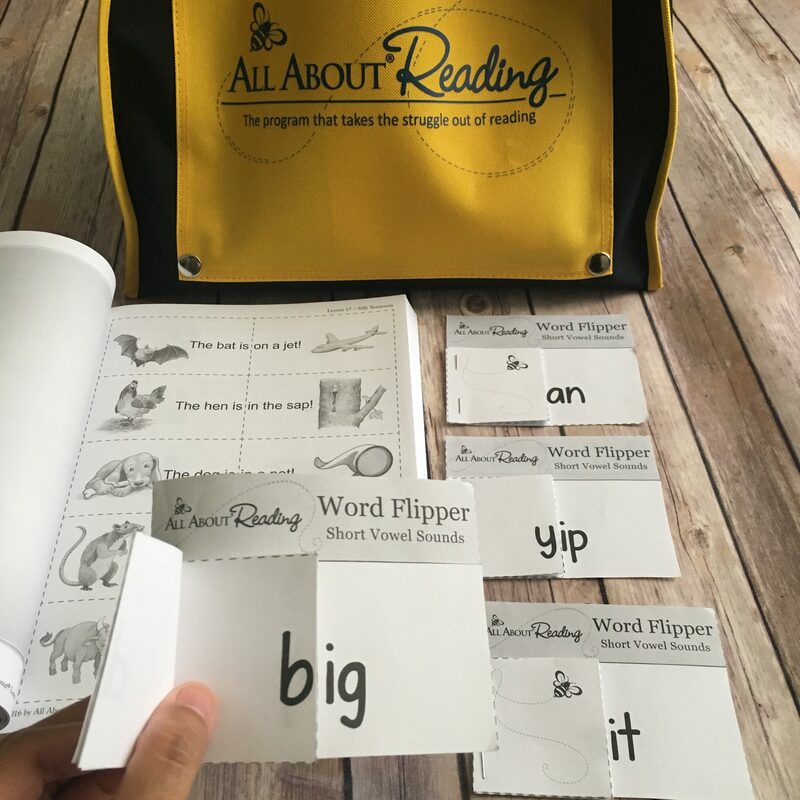 The program includes such a wide variety of interactive ways for students to apply their reading skills in playful strategies. We are really pleased with All About Reading for many reasons. It is a mastery-based program so it focuses on student’s skills, not age or grade level. It is multi-sensory. The program is not just a student sitting down with a book. 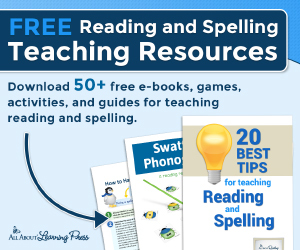 There are multiple ways for students to practice reading skills. They listen to stories, read stories aloud, practice reading and spelling with letter tiles, and also have reading activities and games. It has the student and parent in mind. The lesson layout is so clear that the parent can just pick up the book and materials needed without guessing what to do. The program and interactive kit help make reading concrete. Being able to use letter tiles, a phonogram app lets students help students build stronger connections with its tactile nature. The included viewfinder bookmark helps students track reading in a convenient way. 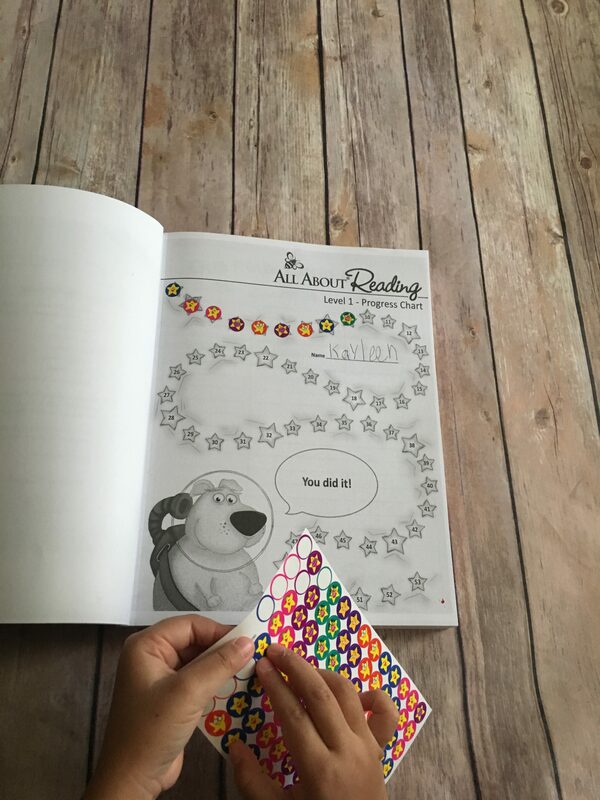 The illustrations and Rocket, the dog make it very appealing for kids. My daughter felt like Rocket was talking directly to her and encouraging her to read. The progress chart that the children can keep track of completed lessons motivates them as they see what they have accomplished. 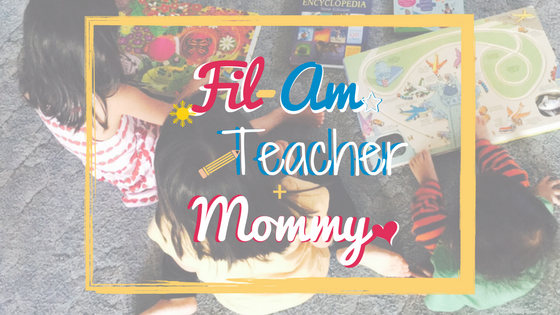 Our family has yet to find another program that packs so much quality content and materials to be a comprehensive reading program. 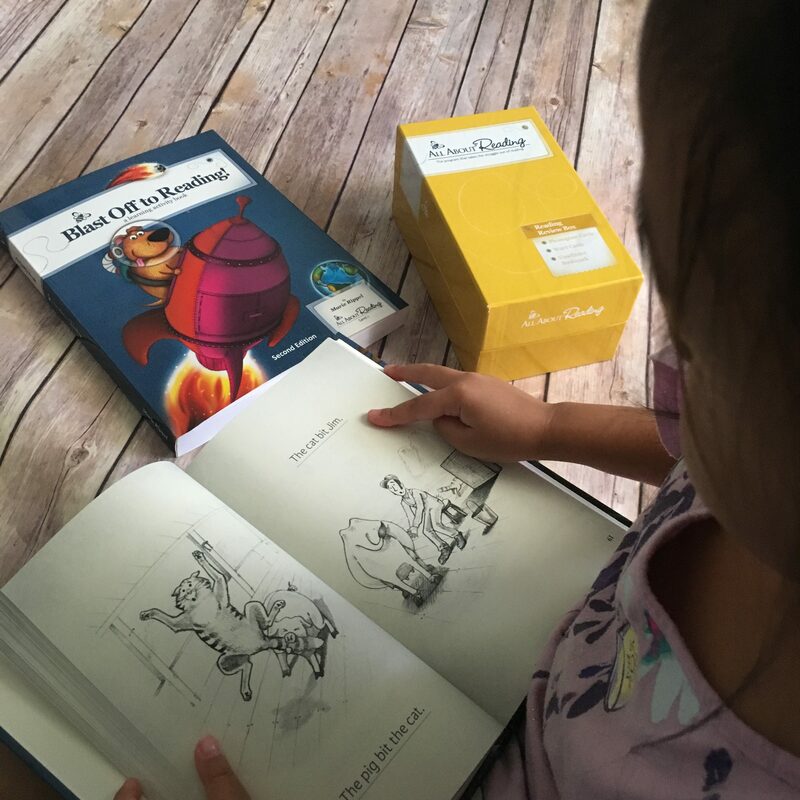 If you’re looking for more quality resources for your child, All About Reading Level 1 is also a part of the Timberdoodle Kindergarten Curriculum Kit! The Timberdoodle Curriculum kits are filled with so many high quality, diverse materials and resources to give your child a well-rounded experience in all curricular areas.